eTCS is a web design and development agency pune, presenting a brand engagement digitally through responsive web designs. We are proud to offer our web designing services in the youth capital-Pune. We help websites rank higher in search engines with our online marketing solutions. Websites are the digital proof of your business. A website with simple objective and does not require major changes is categorized as static website. On the other hand, Dynamic website has interactive elements that fit your exact business requirements. eTCS is expert in designing websites as per the business needs. For this we use well-known CMS platform such as WordPress, Joomla and Drupal. We understand the importance of branding. 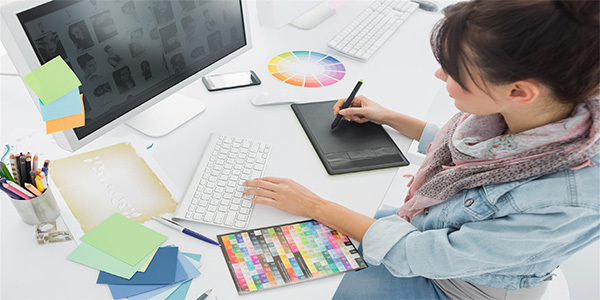 Hence our graphics designing package comes with unique blend of creativity and strategy with technology, digital presence and business innovation. eTCS is an expert in web design art, and creating great impression on the web. If your website are not performing well and is not giving you expected result, it is high time to revamp your website. Here’s how web designing will improve functionality of your website. We build website suitable to work on every device and every screen size, no matter how large or small, mobile or desktop. eTCS is focused around providing an intuitive and hassle free experience for everyone browsing the website.